It's no doubt that in-home lifestyle photography sessions are a trend right now. And for good reason....they're pretty awesome. For instance, you don't have to worry about the weather. Which is a pretty big deal in areas that have pretty extreme weather...ie: Texas or Alaska. Plus, usually your photographer can be a lot more flexible with the time of the shoot, since we don't have to worry about golden hour. Also, usually young kids are a lot more comfortable and able to be themselves, which is REALLY important for any photography session. If you are wondering if a lifestyle session is right for you, read this article about determining if it would be a good fit for your family. 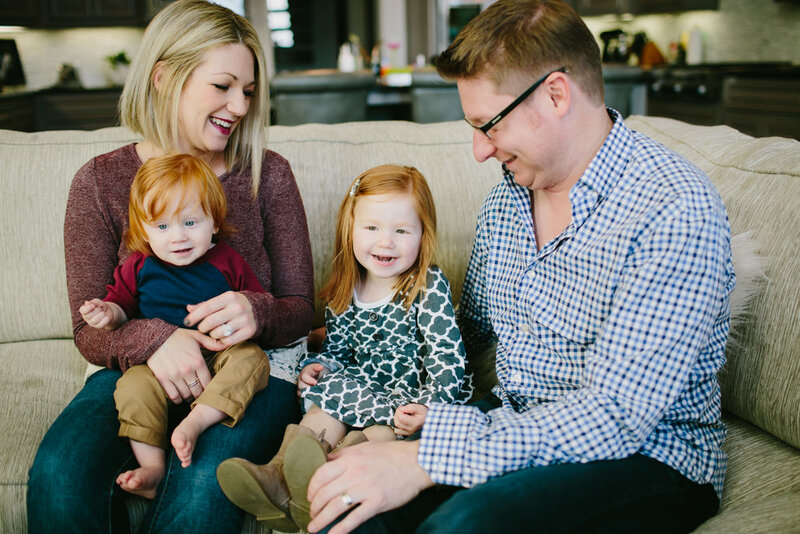 If you already know an in-home lifestyle photography sessions sounds perfect for your family, then we've got some tips and steps to take to make the session (and leading up to the session) a smooth and dare we say, fun experience! For those of you that enjoy checklists...we've got the same steps organized into a checklist printable that you can download and use yourself! Scroll down to the bottom of this post to download. 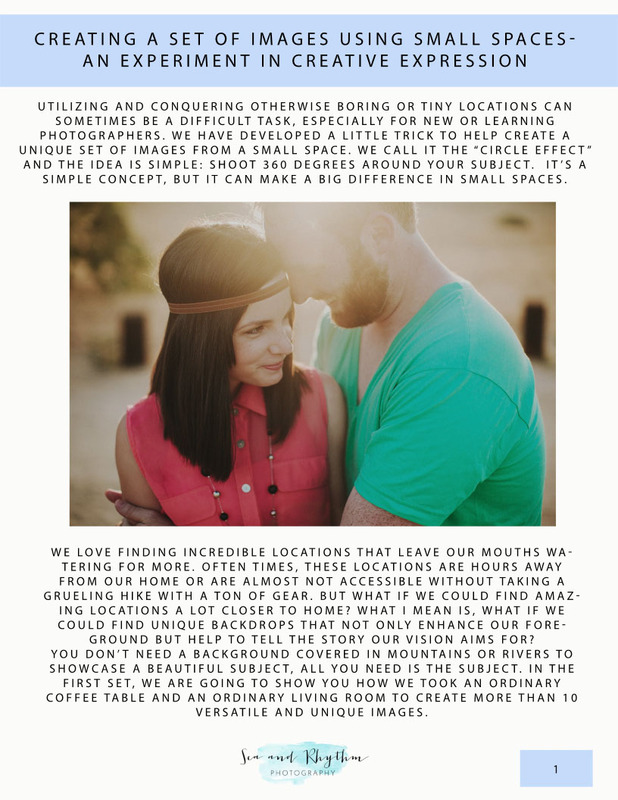 Also, if you're a photographer reading this post, feel free to download and share this with your own clients! It would be a great resource for them. What do you plan to do with these photos...hang them on your wall? Make an album or book? 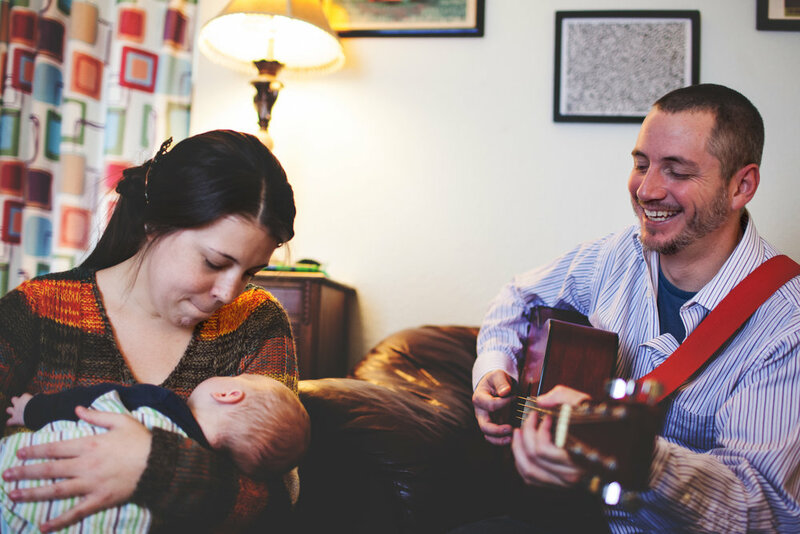 This family loves music, so of course dad playing the guitar was a perfect activity for them! Go for simple + comfortable for in-home lifestyle sessions. Remember, no neon colors or distracting graphics. Clean, but don't worry about perfection. Of course you want your home to be tidy for pictures, but you don't want it to look sterile. You still want it to look like your home! We always tell our families to make their home minimal, but still lived in. For instance, we tell parents to leave their kids' favorite toy(s) out. This helps them feel more comfortable and usually more playful. This family had 2 sons that loved legos, so of course they wanted that documented! Make and style your bed. This is usually a favorite of lifestyle photographers to shoot, so have it prepared by making your bed pretty + styled. Bonus points if you have a white comforter and decorative pillows! Finish all necessary cleaning the night before your session. This is sooo important for your own sanity! The last thing you want is to worry about the house when you are getting everyone ready the day of. Get plenty of sleep and rest the night before. This is especially important for little ones. The last thing you want is cranky kids during the session. Well rested kids = happy kids = happy parents. Eat a healthy meal before your session. The day of your session, it's really important to eat a filling, nutritious meal. Again, this comes back to happy kids = happy parents, but also it will help everyone feel better. Depending on the time of your session, try to stick to your family's typical nap schedule and routine. Usually, your photographer can be pretty flexible with these types of sessions. Remember? We don't have to worry about golden hour. This kind of goes without saying, but staying positive both during the hours leading up to your session and during you session is of the upmost importance. If you are stressed, your family will be stressed too and the session won't be a success. Deep breath....and zen out. Look how happy this mama is? I mean I can't blame her...who wouldn't be happy holding that ADORABLE little boy. But my point is that she smiled the entire time of the session and we didn't get a bad picture of her! Keep smiling. Before we arrive, tell your kids some new friends are coming over to play. Don't worry, you'll get portraits too. That's not true for all photographers, obviously, as some take a true documentary - only approach. But for us, we like to grab some portraits when the moment is right, often in your back or front yard, wherever the light is right. Oh yeah, and details too. Again, not all photographers do this, but we like to capture little details of your home. So when we see something interesting or unique, we definitely document that too. Also, it's really great for albums...it helps tell the story of your family. After the session, reward your kids, they've earned it! And reward yourself. Celebrate the success of the session with your family! When your gallery is ready, don't forget to print your images! This part is often overlooked these days. 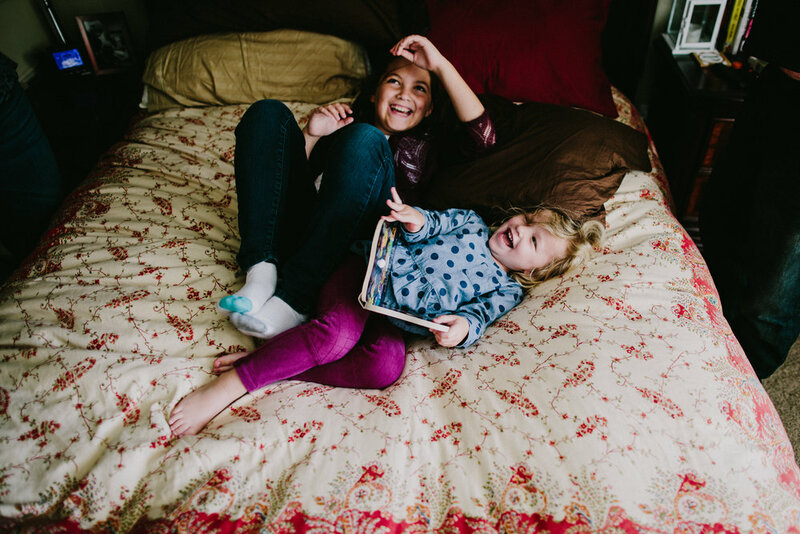 Yes, having digitals is great, but nothing compares to having the tangible images to enjoy everyday in your home. 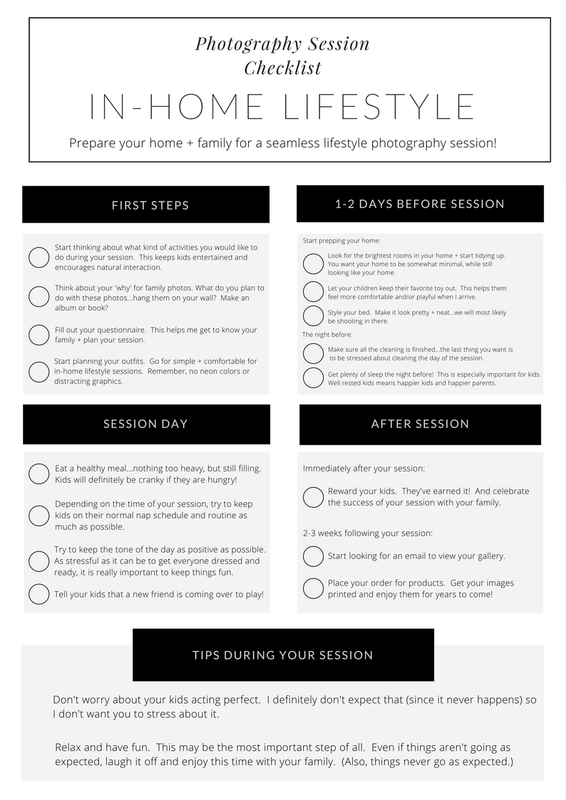 Download your free printable checklist for preparing for an in-home lifestyle photography session by filling out the form below! We've also included a blank version for photographers to use and tailor to their own way of doing things! Older PostThe Hicks - Dallas, Tx.